POS Bio-Sciences/Batavia Bio Processing announced today that effective immediately it will begin operating under its new name, KEYLEAF. The company will also shift focus from its predominantly contract service-based business model to offer more of its own plant-based extracts and ingredients as finished products under the new KEYLEAF brand. KEYLEAF has completed more than 5,400 projects for clients in nearly 50 countries over the past four decades and is transitioning its business model to deliver greater value to its partners. “Pivoting away from applied contract R & D work to producing finished plant-based ingredients of all types under our new name (KEYLEAF) reflects a strategic move toward commercializing a pipeline of plant-derived products under our own brand. The new business model is also anticipated to take advantage of burgeoning market opportunities and produce consistent growth,” said POS/KEYLEAF president and CEO, Dale Kelly. 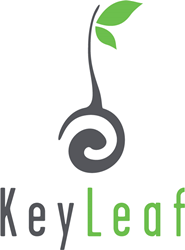 Kelly said KEYLEAF will retain its culture of profound expertise, innovation, and demonstrated success in creating novel, value-added, plant-based protein, starch, and lipid-based ingredients through commercialization leveraging KEYLEAF team know-how. “With over four decades of high-level proficiency in plant extraction, concentration, isolation, and modification of material properties, the company will monetize soaring interest in the emerging hemp/cannabis category with proprietary extracts of cannabinoids, terpenes, and other high-value components for use in medicinal or nutritional applications,” said Kelly. Kelly said the new corporate name is anticipated to better define the value proposition of the company, allow for better acceptance with new potential clients in trending markets, while positioning the brand to be more reflective of its new direction. Most importantly, it will facilitate the enhanced focus on a new brand of value-added, novel plant-based ingredients. KEYLEAF’S ability to provide finished ingredients to the larger food, supplement, flavor, cosmetic, pharma, and advanced materials industry is a natural extension of the company’s previous model of engagement in partnerships that showcased its unmatched ability to scale from bench to high volume commercial production, with the capacity to process from grams to tons-per-week of finished extracts. “In the 1970s, POS Pilot Plant Corporation took canola from the fields as its first project and virtually created the entire North America canola oil industry. We then did the same with soybeans. We’re currently doing it again with legumes and hemp. No other company in the world has comparable innovative technology and expertise to take raw materials from the farm and convert into top-grade plant-based functional ingredients on any scale required,” said Kelly. With a staff of 135 skilled scientists, technicians and operators manning facilities in Saskatoon, Canada and Batavia, Illinois, POS Bio-Sciences/KEYLEAF is a global leader in the creation of value-added products from biological materials.